We arrived the night of the 29th and decided to check into our hostel, grab one drink, roam for about 10 minutes, and then go to bed. We stayed in Ho36, a hostel that is above a bar & restaurant. Which was really convenient because we got a cheap and delicious brunch buffet the next morning. It was mainly an assortment of carbs and different flavors of jelly, but it was still delicious. Also, they had fresh squeezed orange juice - yum. 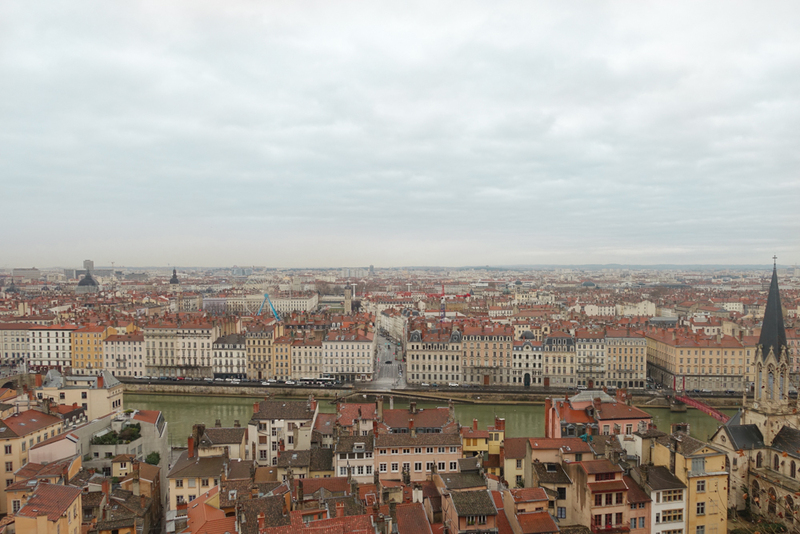 Anyway, afterwards we didn’t really have an exact plan for Lyon. 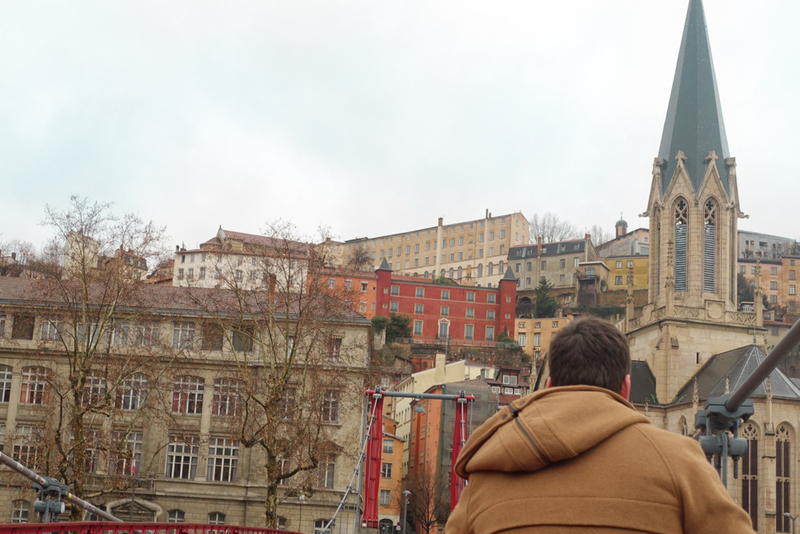 It was raining and gloomy, plus we were a little worn down and didn’t have the energy for museums, but decided we ought to see the Basilica of Notre-Dame de Fourvière We biked from our hostel to the bottom of the hill and then walked up. On the way we explored more Roman ruins at the Gallo-Romain Theater. 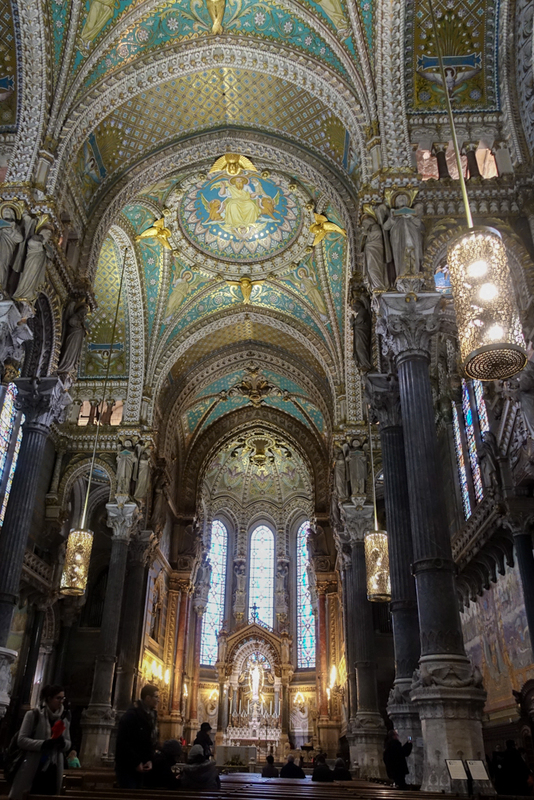 When we finally made it to the Basilica we were amazed. Yes, the church was huge and you could tell from down below, but seeing how massive each level actually was, was impressive. It was beautiful. The hike down was pretty easy and we found ourselves at the Le Laurencin for lunch. We got there just in time because eventually there was a line shortly after we arrived. Our waiter said that when the weather is nice, there’s normally always a line that winds down the alley. I wish I had taken more pictures, because the place was well decorated to feel homey while still being a hole in the wall. For the next few hours we wandered aimlessly and did a lot of random window-shopping. We ended with rice bowls for dinner and a train to Paris. o It’s a little pricy but super worth it. Great customer service and there is a restaurant and bar underneath. Plus the breakfast baguettes are really good. o Pretty good and super cute.